Your silicone pad will last for 30 or more uses depending on the care of the pad. When finished, remove the silicone pad slowly in an upward motion. Once it's dry, place the silicone pad back on the plastic sheet to protect its adhesive. With Hyaluronic Acid. Cleansing Pads. Dragon's Blood Fix. 60 pads per container. Here's a reason to smile: Wrinkles Crinkles banished, in just one night! Put on your patches in the PM to start the AM bright-eyed and smiling wide. Trending at $27.85eBay determines this price through a machine learned model of the product's sale prices within the last 90 days. Glycolic Cleansing Fix:5.1 oz. Party Prep Glycolic Set. 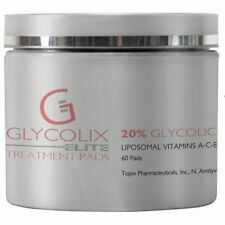 Glycolic Cleansing Fix Glycolic Fix Pads:60 Pads. 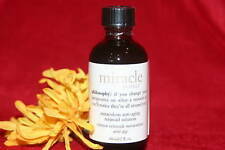 Facial cleanser with glycolic acid & cleansing olive oil. Glycolic Acid works to re-texture the skin to hide the appearance of unwanted lines and wrinkles, whilst Olive Oil deeply hydrates and smoothes the skin. With Actizone Firming. Dr. Denese. Advanced Firming Facial Pad. Instructions for use: Make sure the chest area is clean. Remove protective lining from DermaPad. Apply adhesive side to chest over wrinkles. Ideal to use after shower in the morning while getting ready. Type: Anti Wrinkle Silicone Pad. Once it's dry, place the silicone pad back on the plastic sheet to protect its adhesive. When finished, remove the silicone pad slowly in an upward motion. Skin Type: All Skin Types. I am not Rodan and Fields Consultant or affiliated with Rodan Fields. Anti-Wrinkle Silicone Neck Lifting Pads. HAIR GROWTH. OUR STRENGTH HEEL PROTECTANTS. 5 Pcs Silicone Anti-Wrinkle Face Pads. Type: Silicone Neck Stick. USEFUL LINKS. 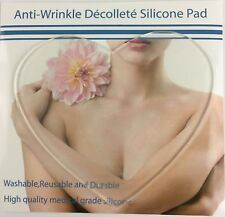 Decollete Anti-wrinkle Chest Pads (Triangle). Avon’s new patented resurfacing complex goes beyond exfoliation. A complex of 5 acids provide multiple benefits for every skin type. I am a hardworking wife, mother and grandmother. • Reveals a fresher, smoother, more radiant look. Type: Neck Care Pad. 1x Silicone NeckCare Pad. Material: Silicone. Extra-thin silicone material, soft and durable, it gives you highest comfort and is very mild on skin. Efficacy: Diminish neck wrinkles, smoothen skin, skin firming. Eliminate Wrinkles On Chest Area: Our sleek wrinkle chest pad design is crafted to stretch and iron out wrinkles. The chest pad can lift, tighten and smooth the chest skin, alleviate chest wrinkles. Electro static energy provided by the pads when worn is supposed to improve the irregular collagen structure and also creates an increased blood flow which results in an improved skin tone. This process has been shown to hydrate the skin and is an important factor in healing scars. Instructions for use: Make sure the chest area is clean. Remove protective lining from Bellini. Apply adhesive side to chest over wrinkles. Ideal to use after shower in the morning while getting ready. Smoke free house. 30 fragrance free pads. Type:Anti Wrinkle Eye Pads. 4 x Anti Wrinkle Eye Pads. Washable and Reusable. Hypoallergenic and waterproof & sweat proof. Material: Silicone. We will be responsible for. Our goal is. Color: Transparent. Can be worn comfortably while you sleep. Wake up to more radiant skin. Target Area: Forehead, Around the eye ,Chin. 5 x Silicone Pad (1 Forehead Pad, 2 Eye Pad, 2 Face Pads). Washable, Reuseable, Durable, Flexible and fluid design. For enhanced firming benefits, press saturated pad into skin and hold for a few seconds targeting specific areas of concern. Perfectly saturated pad can be pressed into skin for enhanced firming benefits. You may also be interested in. The sale if this item may be subject to regulation by the U.S. Food and Drug Administration and state and local regulatory agencies. Eliminate Wrinkles On Chest Area: Our sleek wrinkle chest pad design is crafted to stretch and iron out wrinkles. Type: Silicone Chest Pad. When finished, remove the silicone pad slowly in an upward motion. SIO Skinpad Overnight Decollete. Wrinkle Smoother 1 Reusable. are SEALED or have an EXPIRATION. unlikely event they should go bad. productsthat are FRESH. DATE I will ALWAYS INDICATE that. Netherlands, New Zealand. Material: Silicone. 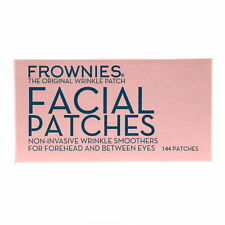 1 Silicone anti-wrinkle patch. Shape: T type. best give a satisfied solution. Orders placed on weekend will. To the USA. To Other Country. Ready for an instant facial?. 1 Pad, 2 sides, 2 minutes gives you baby soft, smooth and brighter looking skin. Skin will not be left red or irritated after using these pads. The result is bright, soft, smooth and even toned skin after the first use. Ideal for those with oily, aging and acne-prone skin. No exceptions.